Methylamine (MMA) Analysis Cartridge | OndaVia, Inc.
Organic amines and triazines are corrosion control agents that increase pH and scavenge corrosive contaminants. One common triazine-based hydrogen sulfide scavenger is MMA-triazine. The use of this scavenger can result in methylamine (MMA) appearing as a tramp amine at the refinery. On-site monitoring for amines can help maintain appropriate corrosion protection, extending system lifetime and avoiding costly corrosion-induced shutdowns and failures. 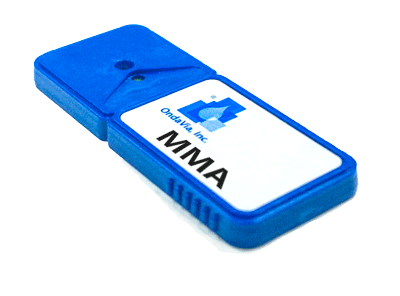 The OndaVia Analysis System with the Methylamine Analysis Cartridge provides a fast, easy MMA measurement. The bench-top instrument consumes single-use, disposable analysis cartridges that provide a fast, easy-to-understand measurement of MMA levels in water. Whether used to control amine dosing or as a wastewater monitoring system, an OndaVia Analysis System provides fast, easy-to-understand MMA measurements. In contrast to the alternative of laboratory analysis, an OndaVia system gives you the on-site results needed for an immediate response.